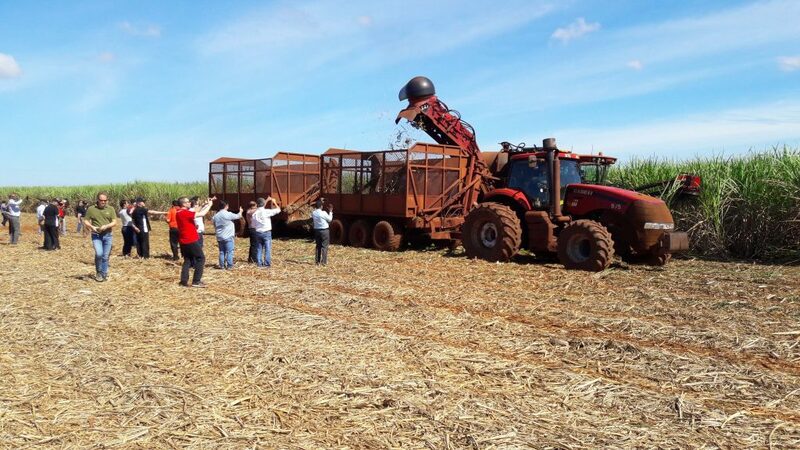 Sugarcane producers from Africa and the Middle East have been given an insider’s view of the latest harvesting methods and equipment being employed in Brazil, the largest sugarcane producer in the world. The six-day trip to South America was organised by Case IH, the global leader in agricultural equipment, as the company’s Sugar Camp 2017 workshop. Sugar Camp is designed to share examples of industry best practice and to show Case IH’s impressive global operations. Following the successful 2016 Sugar Camp in Australia, this year’s event featured an 800-kilometre tour around the State of São Paulo and the Centre South district of Brazil which is responsible for 90 percent of the country’s sugar output. Sugar Camp participants visited two Case IH manufacturing plants, a parts-and-distribution centre, an agricultural equipment dealer, a major sugar and ethanol producer, and a research and development institution. 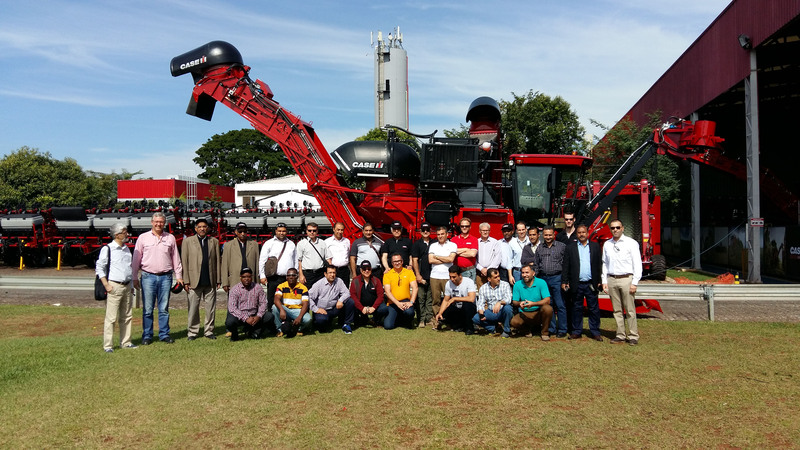 Sugar Camp 2017 received nearly 30 delegates in the sugarcane business from ten countries in the Africa-Middle East commercial area, starting with a workshop session at Case IH’s plant in Sorocaba. This 104,000 square metre factory with annual production capacity of 8000 units was modernized in 2009 in alignment with CNH Industrial’s World Class Manufacturing (WCM) system. Here Sugar Camp guests were shown Case IH’s latest-generation manufacturing equipment, including laser-plate-cutting machines with automatic feeders, robotized welding stations, aerial conveyors for parts and components, and a state-of-the-art painting system. Also at Sorocaba is a 56,000 square metre Logistics and Parts Distribution Centre (PDC), CNH’s largest in Latin America and its worldwide master depot for sugarcane harvester parts. This has an inventory of more than 150,000 different parts and some of the most modern moving and packing equipment in the world. Sugar Camp participants could see how the Case IH parts distribution system is able to respond so quickly to distributors’ and customers’ demands anywhere in the world, supplying parts within 24 to 48 hours. Just 110 kilometres south of Sorocaba, Sugar Camp visited another Case IH plant in the city of Piracicaba. This 12,000 square metre factory is the world-leader in the manufacture of sugarcane harvesters, exporting the Austoft® Series to five continents. This plant also makes self-propelled sprayers, planters and coffee harvesters. The tour moved next to Pradópolis, Sao Paulo, to the São Martinho Group, one of the largest sugar and ethanol groups in Brazil. Here guests visited a sugar mill, were shown a nursery trialling new methods of sugarcane growing, and given an overview of how São Martinho operates through the supply chain from field to mill. This illustrated how mechanization brings such great benefits: farming a total of 300,000 hectares of land at four locations and using 183 Case IH sugarcane harvesters, São Martinho now achieves production levels of 930 tons per day and per machine, with an impressive annual sugarcane crushing capacity of 23 million metric tons. Brazil’s huge sugarcane industry – producing 667 million tons per year from 9.5 million hectares – depends on a well-organised distribution system for equipment and parts. 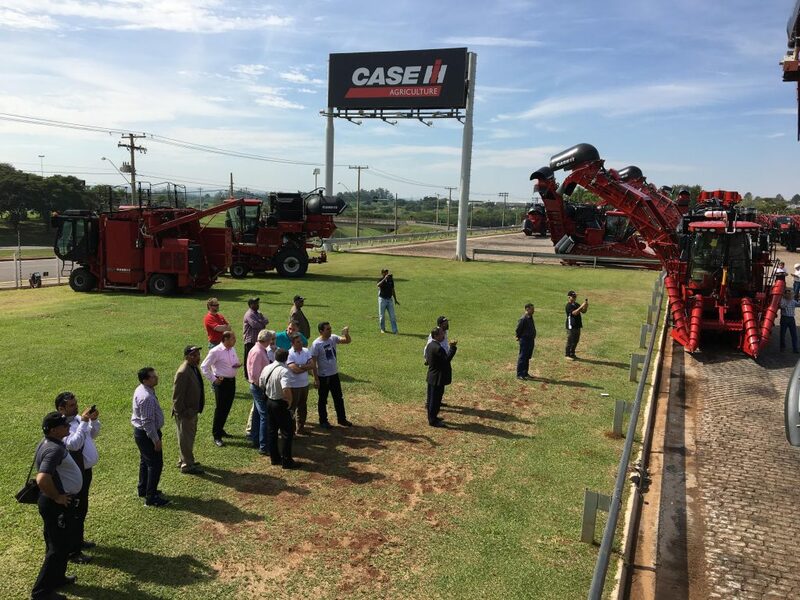 Highlighting this, Sugar Camp also made a visit in Ribeirão Preto to TRACAN, Case IH’s main dealer in Brazil’s sugarcane producing region, showcasing superior customer support and interaction. Sugar Camp’s final destination was the Instituto Agronômico (IAC) in Campinas, a city northwest of São Paulo noted for its research centres and universities. Here the innovative Brazilian Pró-Álcool Program was developed, using sugarcane to produce ethanol as a fuel for motor vehicles. Brazil is now the world’s largest sugarcane ethanol producer, with the alcohol-based fuel replacing more than 40 percent of the country’s gasoline needs and providing 17 percent of the country’s total energy supply.